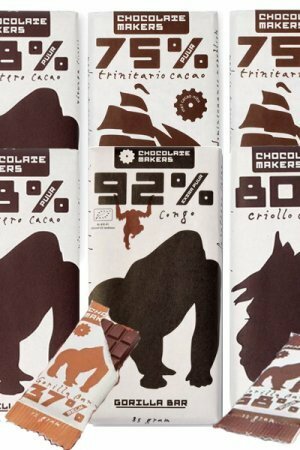 These are Chocolate makers Rodney and Enver. 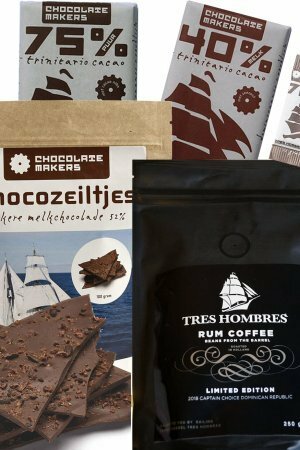 They sit on a bag of cocoa beans in their beautiful factory in Amsterdam Noord. 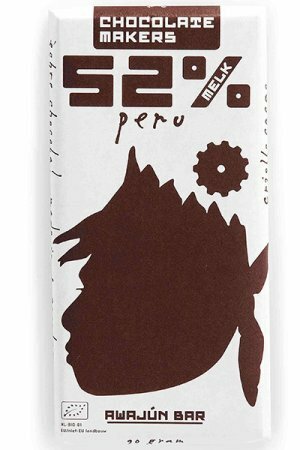 A few years ago, Chocolate salesman Paul got a 75% chocolatemakers bar from Aunt Ina from Amsterdam and that was definitely a decisive moment in our love of chocolate. 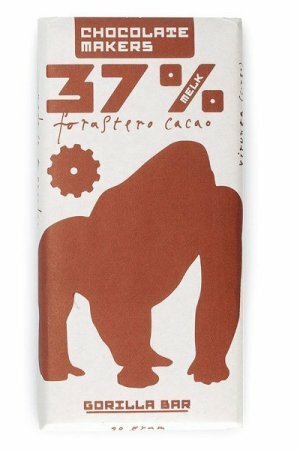 Only with the smell of these bars you already know that it is good. 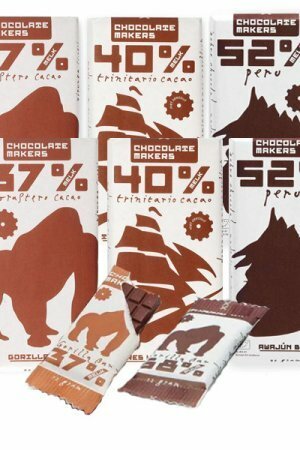 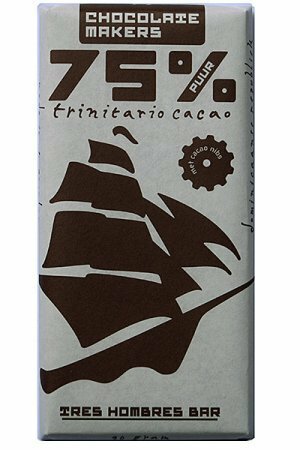 That Chocolatemakers also think carefully about how they can handle things in a nature-friendly way, we also like very much. 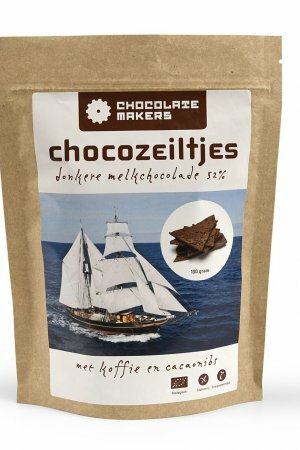 They pack the bars in greaseproof paper and without aluminum foil, cocoa residues are reused in a vegetable garden, they transport their bars in Amsterdam by bicycle courier .. and that way we can continue for a while. 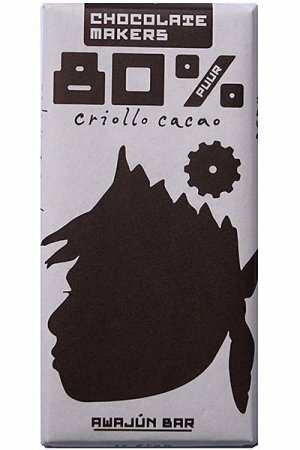 And then they also make very tasty and accessible bars! 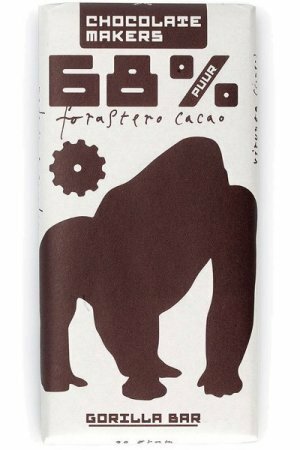 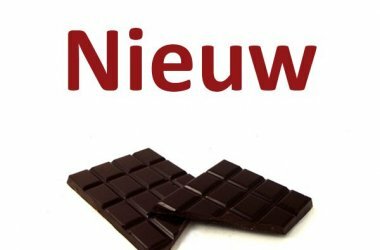 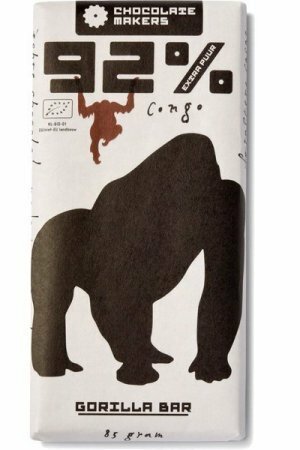 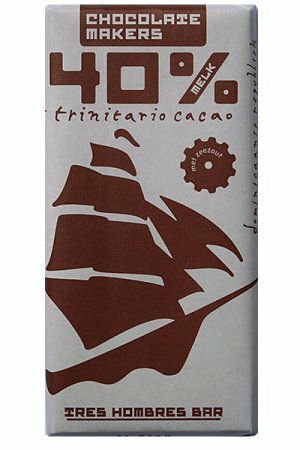 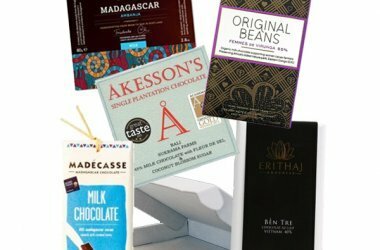 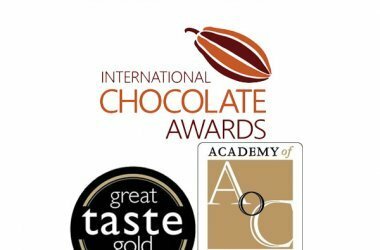 A great Dutch company that dedicates itself with heart and soul to honest chocolate!